Its a busy time for Andy O’Sullivan. 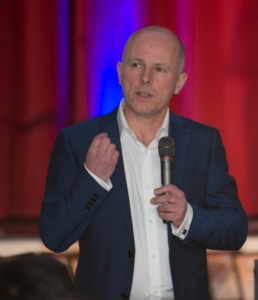 As District 91’s Chief Judge, Andy is spending his time travelling to division contests and preparing his judges for the Spring Conference on 5-6 May. As well as finding Andy on our Contest & Judging page, you will also find him in the Hall of Fame as last year’s Toastmaster of the Year. Tell me a little about your background and home life. Born and raised in Sidcup, Kent, I spent most of my career working in banking. As someone who struggled with the confidence to speak up in meetings or give presentations, I knew that I’d have to develop my public speaking skills … one day! Where do you live and which club(s) are you a member of? Living close to the Elephant & Castle, I’m President of London Toastmasters, a recently Chartered club at London Bridge. 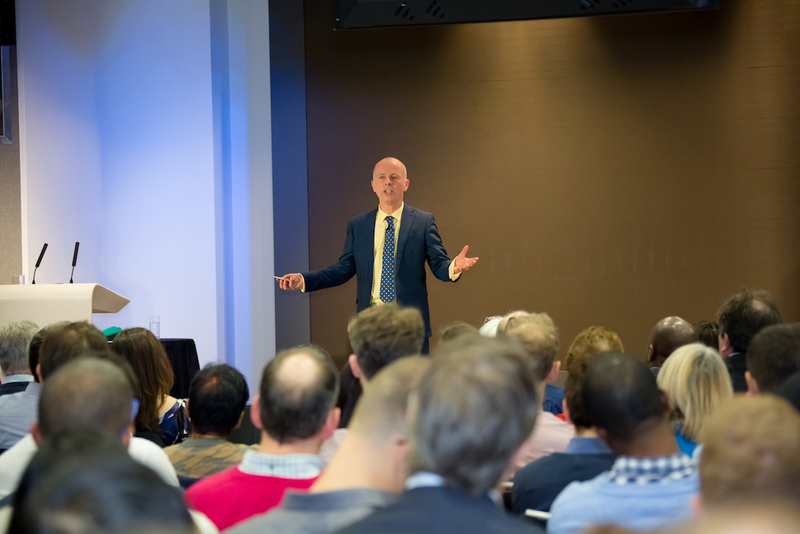 This is a club I started last November, due to the massive demand for membership at my other clubs, London Public Speakers and Central London Toastmasters. How did you find out about Toastmasters? One Christmas there was a BBC News item featuring a lady with a stammer attending a local group call Toastmasters to build her confidence to speak in public. A quick search found a few wonderful clubs in my area that I visited and joined one of them. That was 11 years ago. Why did you join Toastmasters and have your expectations been met? The aim of joining Toastmasters was to build my public speaking confidence. After just a few weeks when I attended an Area contest, I started to see some of the many other benefits Toastmasters can give you. I’ve taken many leadership roles over the years, with each one helping me to learn and develop skills. If it hadn’t been for Toastmasters, I wouldn’t now be blessed to have my own training company. What do you enjoy most about Toastmasters? My love is witnessing the transformation of our member’s confidence and speaking skills. They often arrive as I did, nervous and timid, then with each step transform into confident communicators. What are you currently focussing on at Toastmasters? My current two areas of focus are supporting the members of my home club and as District 91 Chief Judge, helping to ensure the success of all our contests. We are already in the conference and contest season, with division contests this month and the District 91 Spring Conference in May. What advice do you have to the judges? As judges, we have been entrusted to fairly and objectively decide on the contest winners. Take time to read and know the Judges guide to help you with your decision. Give each speaker our full focus and be as impartial as possible, judging the 1st contestant as you do the last. Our District runs many amazing webinars, including one on how to judge at contests. A replay of a recent webinar on judging can be found here. What are your Toastmaster ambitions for the future? To continue supporting our members and clubs in whatever way I can. Any views on how we can improve Toastmasters in District 91? We can help to make our clubs more friendly, sociable and supportive to our guests. We may be busy, but they will be feeling anxious, so help them to feel at ease. When I asked Andy how is spent his spare time he was a little coy. I spend most my time speaking, attending Toastmaster events or helping others to improve their presentation skills through my own business. I am fortunate that my passion of public speaking is both my hobby and day job. Any final words for our District 91 members? We are privileged to be a member of a fantastic organisation, led by dedicated members. Continue your growth by visiting other clubs, attending contests and coming to the conference. Everyone is there to support you.